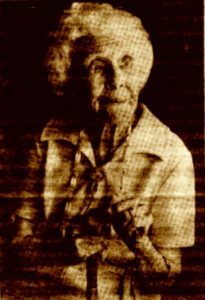 I am indebted to Anne Didier of Palos Park, Illinois, U.S.A, who visited our original website on 2 July 2000, for allowing me to reproduce her grandmother’s memoirs. 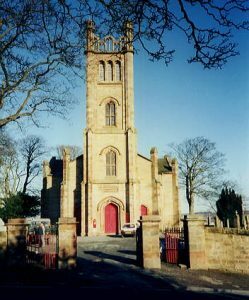 Janet Somerville Brown was a daughter of William Somerville of Whinnyrow, Lothian Street, Bonnyrigg. 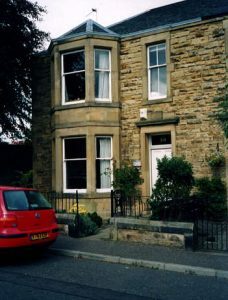 Mr Somerville operated a successful Glue and Size manufacturing business here in Bonnyrigg until he retired at age 70, during the First World War (1914-1918). 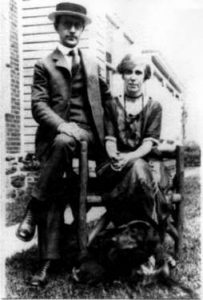 Janet Somerville married James Brown and they emigrated to the United States in 1913. 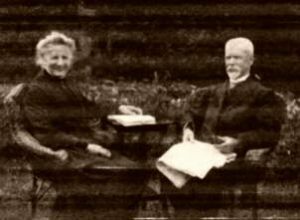 Her fascinating account of her early life in Bonnyrigg through to her later life in the U.S.A is recounted here in the following pages which are titled “Memoirs of a Nonagenarian – For Her Children”. She wrote her memoirs at the age of 92 and lived until she was 103. I have also reprinted the text of a small article, which I believe may have appeared in a local newspaper in 1932. It congratulates Janet’s parents on the occasion of their diamond wedding. It was obtained from a newspaper cutting saved by Janet in a scrapbook. 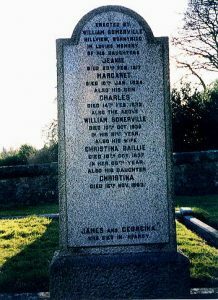 Photographs include the houses at Whinnyrow and Hillview, Janet’s parents, Janet and her husband James, Janet at the age of 100 years, the Somerville family gravestone at Cockpen cemetery and Cockpen Church. 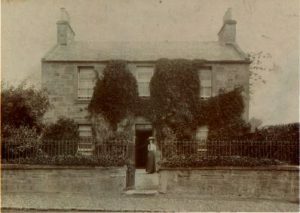 “Hillview” (William Somerville’s house), as it is today, formerly 9 now 20 Maryfield Place, Bonnyrigg. All monochrome & sepia photographs supplied by Anne Didier.